Are you screening for stocks using technical or fundamental information? Before you begin looking for a stock screener, you need to know what type of trading or investing you do. Will you be searching for stocks based solely on technical or fundamental data or are you looking at some combination of both? 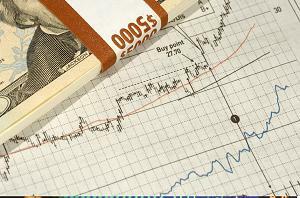 A common stock screener finds stocks using either technical analysis or fundamental data. Investools and VectorVest, which are paid services, offer a combination of both technical and fundamental analysis. A stock trader generally would screen stocks using technical data while an investor would use fundamental data. It is quite common for stock traders to use fundamental analysis to narrow down the types of stocks they want to trade. Also, some investors will use technical analysis to help them identify a good buying point once they have identified a stock meeting their fundamental requirements. If you are not sure of the differences between the two types of searching methods the following may help. There are many websites which feature free stock screeners. Check them out and learn which one works for you before you subscribe to any of the fee based ones. Ultimately, the best website for screening for you will suit your trading style and your lifestyle. For example, some common screeners search all US and Canadian markets at the same time while others search only one exchange at a time. Also, their output is different and you may not like the format or ease of use of some of them. Finally, many of the free screeners offer paid services as well. Generally, with a paid service you get better data, more information, better timing, easier formating and improved education.